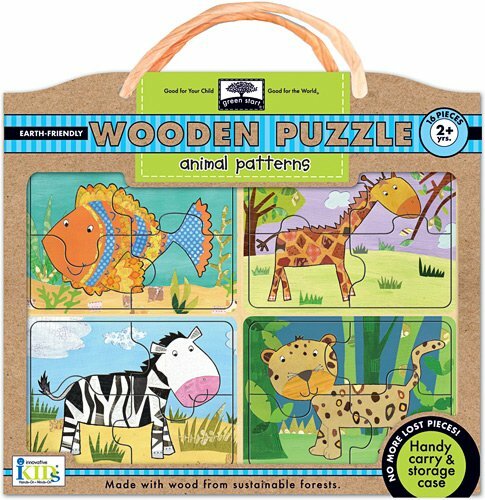 Packaged in a reusable carry-along storage case, these Earth-friendly puzzles are made with wood from sustainable forests. Created with the help of child-development experts, green start wooden puzzles exercise skills that prepare children for reading, math, problem solving and more. Four mini jigsaws in separate wells are each divided into four pieces. With slightly more detailed scenes and only background support underneath, these puzzles are perfect for young puzzlers. Carefully designed to support and enhance early-learning skills, these beautiful floor puzzles create a play experience embedded with educational benefits that build early-literacy, math and problem-solving skills. 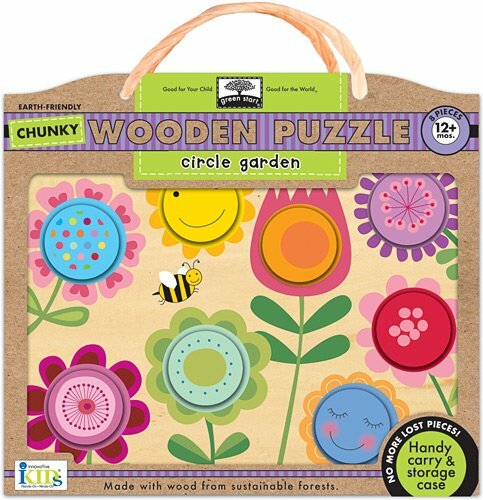 Packaged in a reusable tote box, these puzzles are printed on 98% post-consumer recycled materials and use only eco-friendly ink. With pigs, cows, horses and more, it's a busy day on the farm. Kids will have a blast assembling this fun puzzle to see all the different animals. Puzzle measures 2 ft. x 3 ft. when complete and includes 35 oversized chunky pieces. Brand new in the green start? 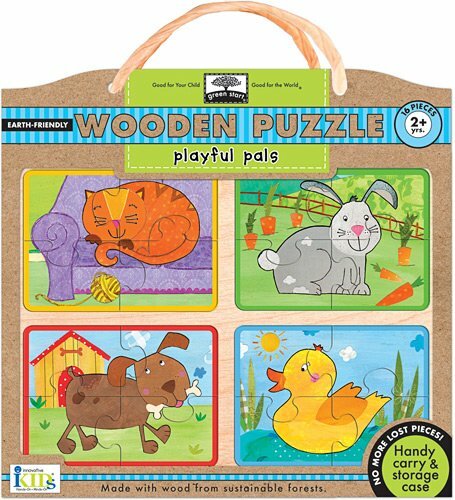 series made from 98% post consumer recycled materials and printed with eco friendly inks, this extension brings earth-friendly messages and all natural materials to the joy of creating beautiful multi-piece jigsaw puzzles. 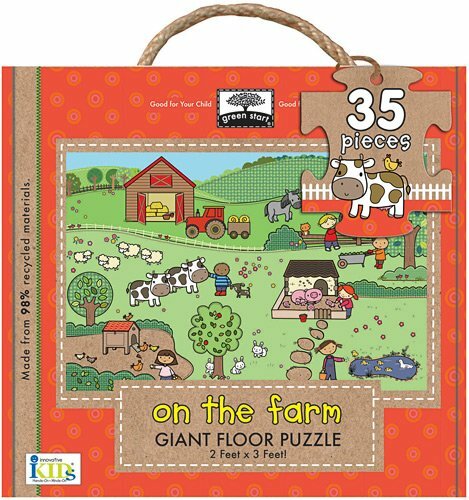 Packaged in reusable totebox, each of these 14-piece floor puzzles reveals a unique, endearing scene that kids will love to build. 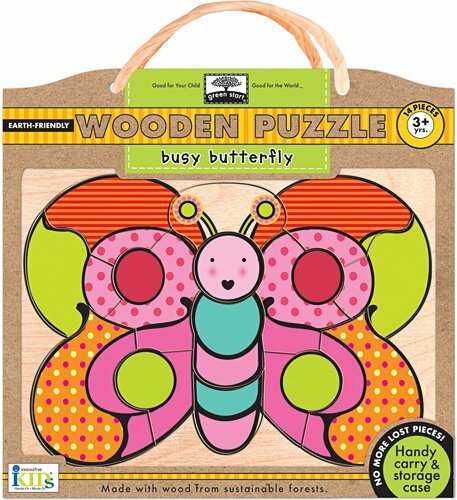 Kids will love putting together this puzzle full of colorful, busy butterfly. Comes with adorable and reusable storage box. 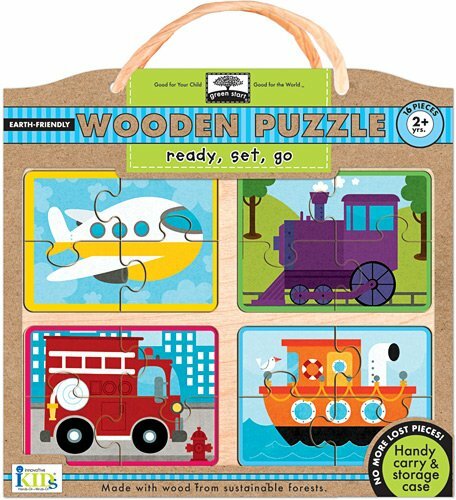 Packaged in a reusable carry-along storage case, these Earth-friendly puzzles are made with wood from sustainable forests. Created with the help of child-development experts, green start wooden puzzles exercise skills that prepare children for reading, math, problem solving and more. One big, central image is divided into 14 pieces with only black-line outlines underneath. This unique jigsaw is suitably challenging and accessible for little ones who are ready for multiple-piece jigsaws but are not quite ready to lose the tray support. 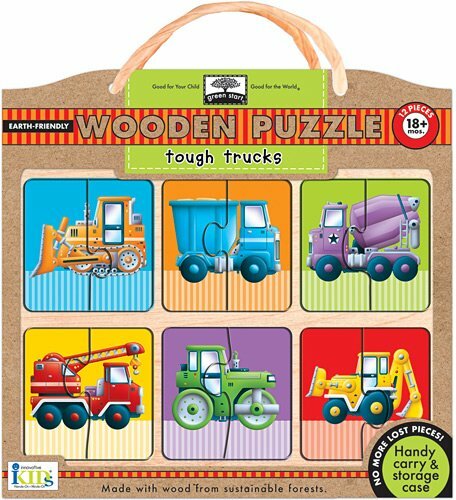 Packaged in a reusable carry-along storage case, these Earth-friendly puzzles are made with wood from sustainable forests. Created with the help of child-development experts, green start wooden puzzles exercise skills that prepare children for reading, math, problem solving and more. Each bold and simple two-piece images sits in an individual well with strong visual support underneath. Sturdy, raised pieces are easy for little fingers to grasp. 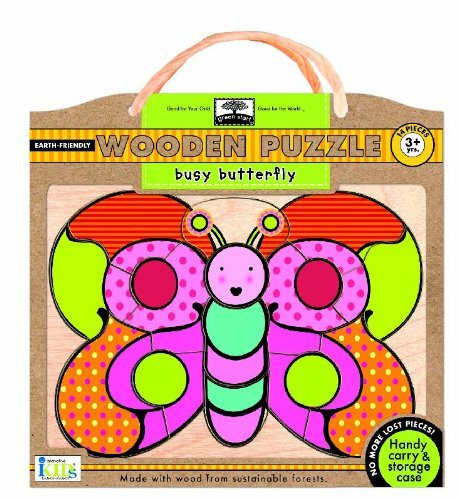 Packaged in a reusable carry-along storage case, these Earth-friendly puzzles are made with wood from sustainable forests. Chunky, raised pieces support basic grasping skills, combined with slight gradations of cognitive challenge. Created with the help of child development experts, green start wooden puzzles exercise skills that prepare children for reading, math, problem solving, and more. Each puzzle in this level reinforces a different developmental skill. A beautiful garden of flowers contains eight circles of the same size and shape for mix-and-match play. Each piece is a different color with a matching color well. Looking for more Green Start Wooden Puzzles similar ideas? Try to explore these searches: Boat Refrigerator, Gold Plated Heavy Chain Link, and Creamy Lip Pencil. Look at latest related video about Green Start Wooden Puzzles. Shopwizion.com is the smartest way for online shopping: compare prices of leading online shops for best deals around the web. 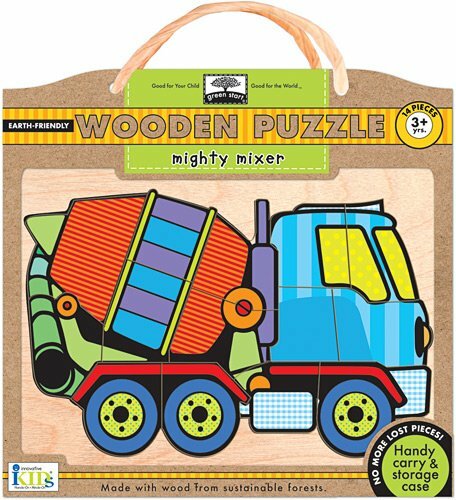 Don't miss TOP Green Start Wooden Puzzles deals, updated daily.